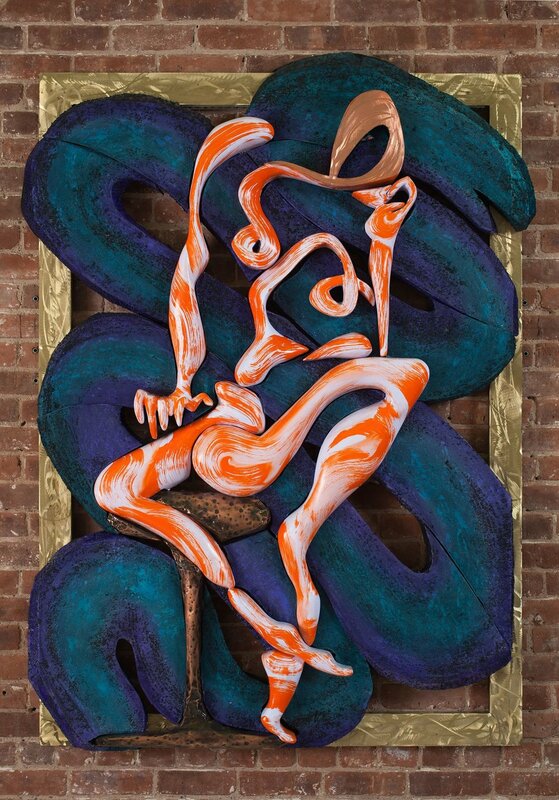 Robert Mango is a New York City artist who has maintained a TriBeCa studio since 1977 where he creates paintings, sculptures, drawings and multiples. A documentary film on his life and work entitled "Amiss in the Abyss” was released in 2018 by French filmmaker Guillaume LeBlanc. He is the author of a 2015 published memoir, 100 Paintings An Artist's Life in New York City (No Room for Doubt Inc.). 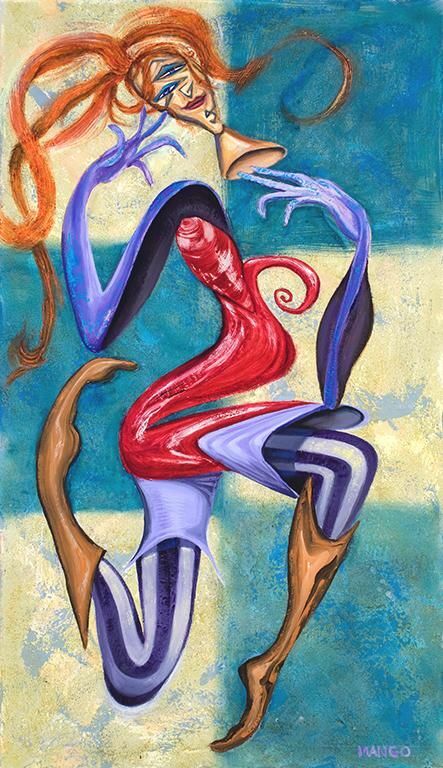 A native of Chicago, Robert received a BFA in Painting from the University of Illinois and an MFA in Sculpture. He attended the School of the Art Institute of Chicago and the University of New Mexico for painting. 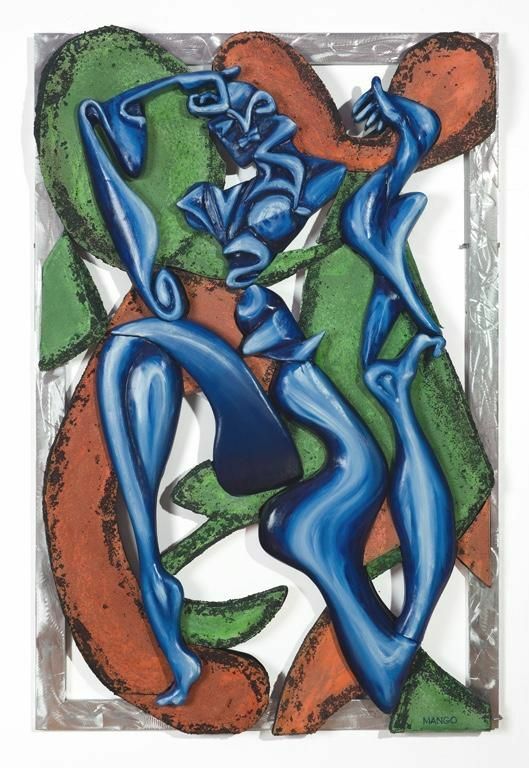 For more than 40 years, Robert has been an internationally exhibited painter and sculptor, and his work is extensively collected in both the private and corporate spheres. He has numerous solo exhibitions in New York, Chicago, Taos, Zurich, Prague, Paris, St.Paul-de-Vence and Tuscany. Mango and his artwork have been featured The New York Times, Huffington Post, Art in America, Art News and dART International. Robert has mastered several art mediums and styles. Unique to this artist are his Three-Dimensional paintings. His virtuoso metaphorical oils of Europe and New York City are well known and are currently on museum tour throughout the U.S.
Oil on Canvas on Panel Over Sculpted Foam. 64 x 45 x 6”. What Have I Become?, 2012. Oil on canvas, over sculpted foam, aluminum frame. 72 x 48 x 5“.